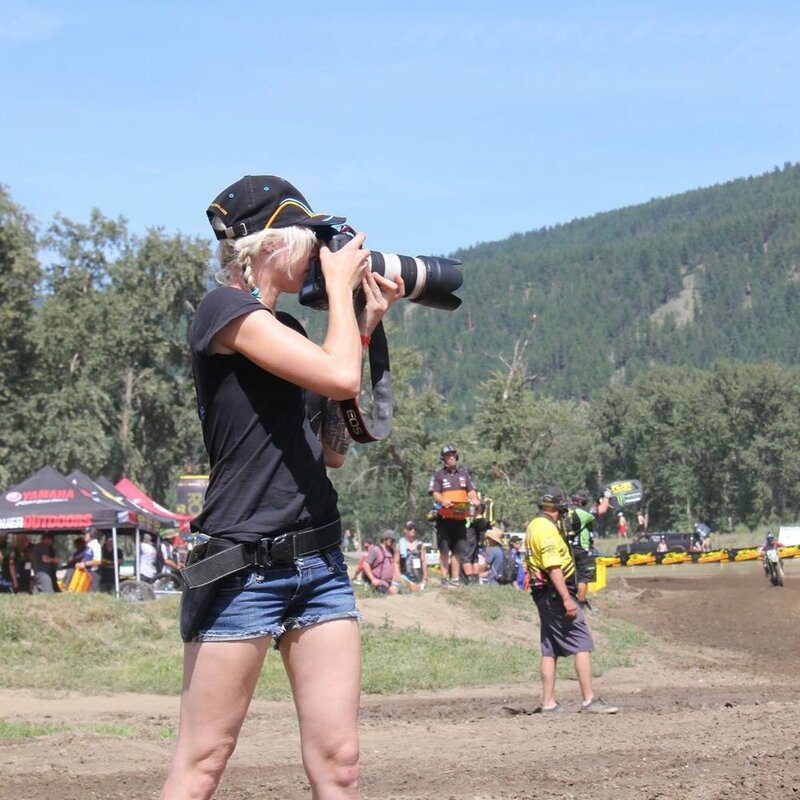 My name is Shelby Mahon and I am the owner of Backcountry Motorsports Media (formerly Back Country Photography & Design). I have a passion for motorsports and powersports that truly encompasses my entire life. My career consists of photography, journalism, videography, graphic and digital design, social media marketing and traditional marketing. Creating a career out of my passion means you WONT find anyone else more dedicated, determined or confident in the work they produce. I love what I do and I take great pride in providing only the best quality products and services available. I have done work and/or continue to do work with Canadian Snowcross Racing Association(CSRA), Demon Powersports, Conx2share, Rockstar Energy Drink, Ontario Tourism, Supertrax Media Corp. (DirtTrax and SnowTrax TV), SnoX365.com (AGX Media), Sleddealers.ca, , Ontario Watercross Racing Association(OWR), The Rider Scope, American Snowmobiler Magazine, Snow Goer Canada, Sno Riders West, ATV.com, Go Riding Magazine and the Parry Sound North Star. Growing up 20 minutes north of Parry Sound, Ontario, Canada means I was born and raised a proper northern country girl. I was born to snowmobile, ATV, hunt, fish, hike and enjoy the beautiful province I call home no matter the mode of transportation. I grew up riding snowmobiles to collect firewood in the winter until it turned into a fun weekend sport for my parents and I. Since then recreational riding has been the biggest part of my winters and something I look forward to all year long. I started racing snowcross in 2011 and in 2016 I competed in the Red Bull Snowboundaries cross-country and snowcross combined race. Even though I race I still love getting back to my roots, going for trail rides and off-trail boondocking adventures with friends and family. I also LOVE going backcountry riding! Not limiting myself to snowmobiles I am also an avid ATVer! I also come experienced in driving SxS’s, Dirtbikes, Hovercrafts, Sea-Doos, Boats, Tractors, Go Karts, and driving automatic/standard vehicles…basically if its got a motor I can drive it, or learn how to pretty darn quick! Driving is something I have always been skilled at but really didn’t think would ever benefit me aside from avoiding accidents and driving like a boss in bad weather. Lucky for me though I found my way to racing! Growing up in Northern Ontario also means I can handle extreme weather conditions like harsh Canadian Winter Driving! Onto my education! After High School I thought I would make a really great teacher…so I packed my bags and moved to Waterloo, ON to attend Wilfred Laurier University in 2009. After 3 years of studying Medieval History I graduated with my B.A. in 2012 and decided my true love was motorsports so I ventured off to Cambrian College in Sudbury, ON. I did the 2-year Journalism Diploma in a single year and started my business full time in the spring of 2013. Since then I have been 100% dedicated to building not only my own reputation but also helping to build the reach and positive reputation of the motorsports industry. In the fall of 2016 I also received a certificate in Motorsports Management and thoroughly enjoyed expanding my knowledge in the marketing, event management and operations side of the industry. If your looking for someone with unmatched passion, determination, skill set and a real personality than I’m your woman! Check out my personal website for more info on my racing!